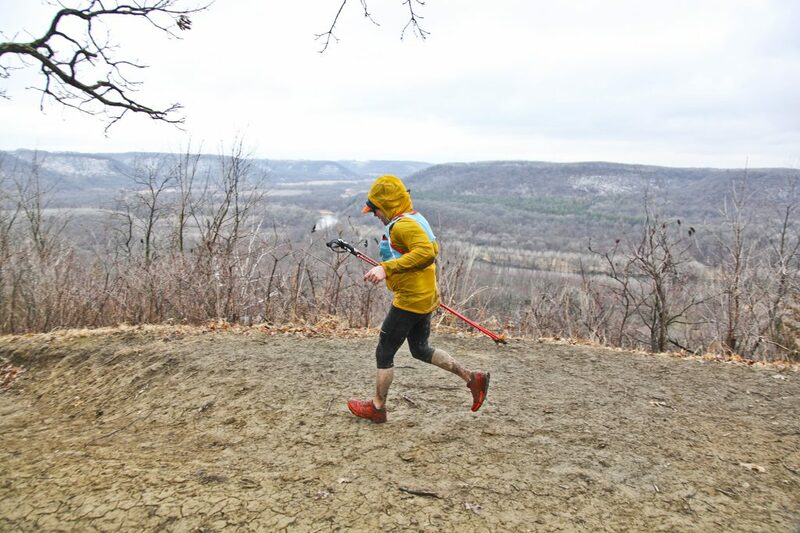 Welcome runners to the 11th annual Zumbro 100, 50 and 17 Mile Endurance Run, Friday April 12th and Saturday April 13th, 2019! We are excited to be hosting another super talented field of runners, hailing from 23 states and three countries, all coming to experience the magic of Zumbro! The 17 mile and 50 mile races both sold out in record time this year and it looks like we will tie our previous record for number of participants in the 100 mile race. Registered: 100MI=122, 50MI=274, 17MI=531. Zumbro staff writer and fellow Zumbro 100 mile participant Kevin Langton has written an excellent preview for this years race which can be found on our website HERE https://www.zumbroendurancerun.com/zumbro-endurance-run-2019-race-preview-by-kevin-langton/ Over 240 volunteers (primarily your fellow trail runners) have signed on to help make this experience awesome for you all! Course Conditions: Conditions are changing day by day at this point, but as of a couple of days ago nearly all of the snow and ice was gone with just a very small amount lingering on North facing slopes and in heavily shaded areas. The Zumbro river is back to normal levels and the only places with standing water are right in the river bottom / floodplain itself. On higher ground there is very little standing water and not much mud at this point as there is still some frost in the ground – as the frost continues to come out, mud is sure to develop. The forecast over the next week looks reasonable and should help continue to move things in the right direction, overall this Spring thaw could not have gone much better. All that said, it is Zumbro and the weather, and thus course conditions can turn in an instant; so come prepared for ice, slush, water and mud, and be pleasantly surprised if it ends up being better than that! This email is not going to be heavy on specifics since everything you need to know can be found on our website HERE http://www.zumbroendurancerun.com/ – PLEASE, PLEASE, PLEASE take the time to read through the website and at an absolute minimum see the following links as they pertain to the distance that you are running. There is only one kind of trail / ultrarunner that we do not like, those that fail to read up in advance of a race – they are the bane of a race directors existence and a liability to themselves and their fellow racers. *100 mile and 50 mile runners, use your assigned race number to mark your drop bags. Your drop bags should include your first name, last name, race number and aid station location for each particular bag. Parking is limited at the race start / finish area, WE STRONGLY ENCOURAGE CAR-POOLING. If there is snow and ice on the ground when you are making your way to the race, we prefer that you take the route utilizing Wabasha County Rd 4 and come in through the town of Theilman (as opposed to the gravel back roads that Google Maps may route you on – these roads can become very hazardous if snow and ice are present due to how steep and winding the hills are – that said this route is perfectly acceptable when snow and ice are not present). If you come through the town of Theilman, PLEASE drive very slowly and cautiously through town – this is a VERY small community that is not used to seeing much traffic this time of year, so please be VERY respectful. The Zumbro Bottoms West Assembly Campground (Start / Finish area) does not have a “parking lot” per se’, it is a campground and is setup as much, there is quite a bit of space as long as people park sanely / respectfully, please do not double park or park in any muddy areas. Those not camping please drive all the way to the back / far end of the campground and start filling that space first. Runners crews and spectators are not allowed to drive to Aid Station 1/4 and 2/3. We will mark shortcuts from the Start / Finish area (Aid Station 5) for those crews and spectators that care to make the just over 1 mile (strenuous and usually muddy) hike to Aid Station 1/4 (and then just under 1 mile hike to Aid Station 2/3). For those that cannot or prefer not to make the hike, we will also be providing a shuttle between the Start / Finish area (Aid Station 5) and Aid Station 1/4 (you can then walk on to Aid Station 2/3 should you so choose). The shuttle will run fairly regularly but we make no promises that it will be there right when you want to leave, so be prepared to wait OR make the hike if you fear missing your runner. 100 mile runners will receive a piece of pink ribbon and 50 mile runners will receive a piece of blue ribbon to tie to their hydration pack, waist belt etc. This will help runners in the 17 mile race identify who to “pass with care” and give encouragement to when they start fresh, strong and enthusiastic at 9AM on Saturday morning! There is no cell or 4G reception at the race start / finish area or out at the other aid stations… plan accordingly. You can sometimes get cell / Internet at some of the nearby high-points, both on the race course and on the local roads. Race results will be available HERE https://results.chronotrack.com/event/results/event/event-49442 after the race, and, if things go as well as they have in the past, every 100 mile and 50 mile runners 17 mile splits will be broadcast after each loop – that said, we make no guarantees of this since we are doing some technological magic to make this happen in an area with no cell or internet coverage. Leading up to the race and during the race we will be posting all kinds of fun photos and commentary on our Facebook page HERE https://www.facebook.com/zumbro100/ – follow the link and LIKE our page. If you have not yet come across it yet, there is all kinds of interesting and entertaining information on THIS section of our website as well https://www.zumbroendurancerun.com/news-and-updates/ – after the race we should have plenty of photos for you to go through as we have an outstanding group of volunteer photographers covering the race! Some runners have gotten themselves in trouble by not having, carrying or wearing enough clothing… we strongly encourage runners to at a minimum carry a small / light packable shell jacket or large plastic garbage bag – having this could keep you from getting super cold should we get cold temps and / or rain / snow. IMPORTANT: keep in mind that there are no heated facilities or buildings at Zumbro (just an unheated, open sided, park pavillion) – your options for staying warm are to produce body heat through running, have warm clothing to put on or getting into your warm vehicle after you finish or in the event that you drop out of the race. In the event that you do do not finish the race (DNF), be sure to report it directly to a HAM Radio Operators or an Aid Station Captain – please do not leave the race without doing as much. PLEASE READ THE INFORMATION ON OUR WEBSITE. Our job is to put on a good race, your job before the race is to read the website, know what is going on and what to expect – after that your job is to show up and run and have a great time! We are looking forward to seeing everyone! PS. Should you have any questions it is best to get them in to me as soon as possible since starting the Thursday before the race we will have very limited access to internet thus email. I can’t wait!